How the redeveloped former Belfast Telegraph building will look when it becomes The Sixth. Image: Allford Hall Monaghan Morris. THE proposed £75 million regeneration of the former Belfast Telegraph building is set to receive the planning green light next week. 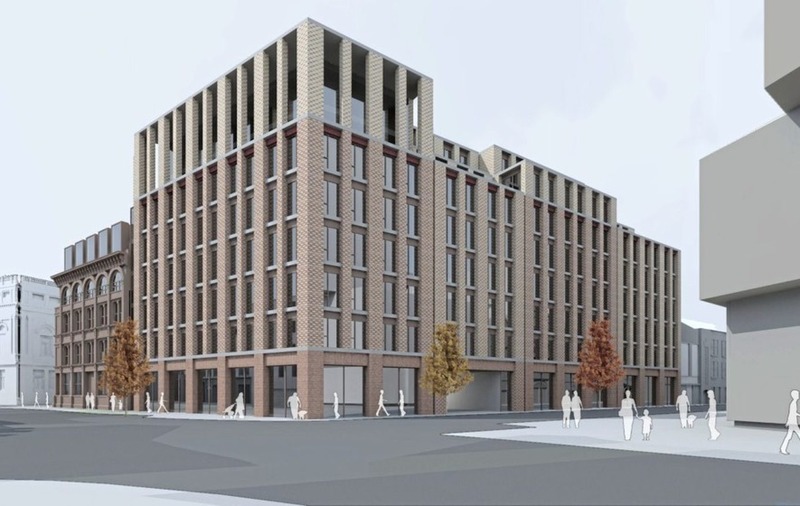 The office-led mixed-use development, which could deliver 2,000 high-end jobs, is recommended for approval at Tuesday's meeting of Belfast City Council's planning committee. 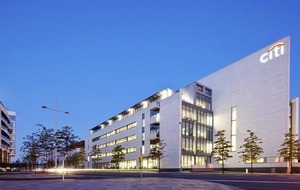 The commercial, retail and leisure scheme, known as The Sixth, includes the restoration and refurbishment of the 1886 'Seaver building' - the former headquarters of the daily newspaper and the development of the remainder of the Royal Avenue site into a contemporary, mixed use new build scheme. A total of 230,000 sq ft of workspace is proposed across seven floors, with a public atrium and walkway on the ground floor, alongside retail and food and beverage uses. The pioneering office development will also feature Belfast’s first roof top running track, as well as roof top terraces, break out spaces and a basement car park. Speaking in August, Stephen Surphlis of developer, Bel Tel LLP, which comprises Belfast City Council and McAleer & Rushe, said a focus on user wellness and wellbeing is at the core of the building’s design. “Offices and workspace are evolving and UK and international companies are looking to Belfast and the wealth of talent we have on tap from our universities and within our professional, creative and technology sectors," he said. "These firms are placing a premium on employee satisfaction and are seeking working environments that facilitate team interaction, innovation and creativity. Our plans for The Sixth emphasise quality, heritage-led design that makes a contribution to both user wellbeing, and the fabric of our city." AHMM founding director, Paul Monaghan described The Sixth as a "bold project" focused on preserving the building's rich history. "We have taken cues from the surrounding buildings and the city’s lost Victorian arcades, and will restore features removed or lost from the original listed building. For example, we’re planning to reinstate the building’s main access onto Royal Avenue and re-introduce dormer windows removed from the original roofline, " he said. "The Sixth will contribute to the rapid regeneration of the area and with its close proximity to Ulster University; it will be at the centre of an emerging creative district serving the education, culture, media and technology sectors," Mr Monaghan added. 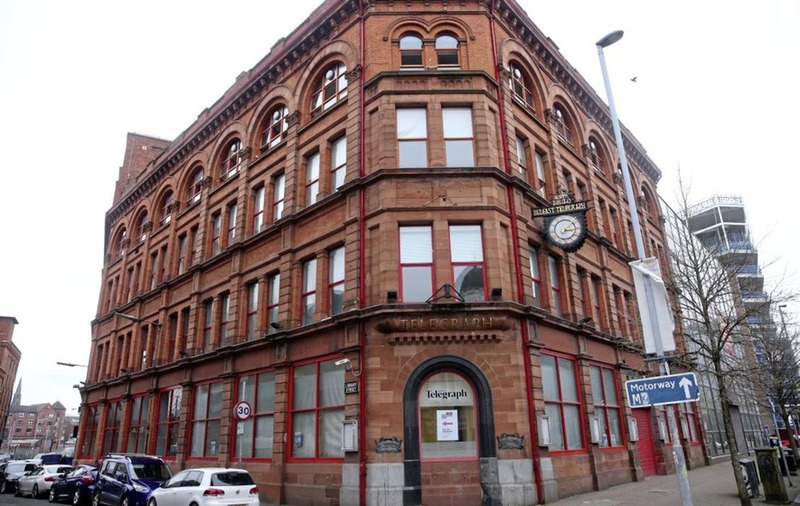 After 132 years at its Royal Avenue home, the Belfast Telegraph moved to new offices in Clarendon Dock in September 2016. Since then part of the iconic red brick building has taken on a new life as a popular music venue. The Sixth name was inspired by “Sixth Late Tele”, the call of the newspaper’s street vendors when selling the evening edition.